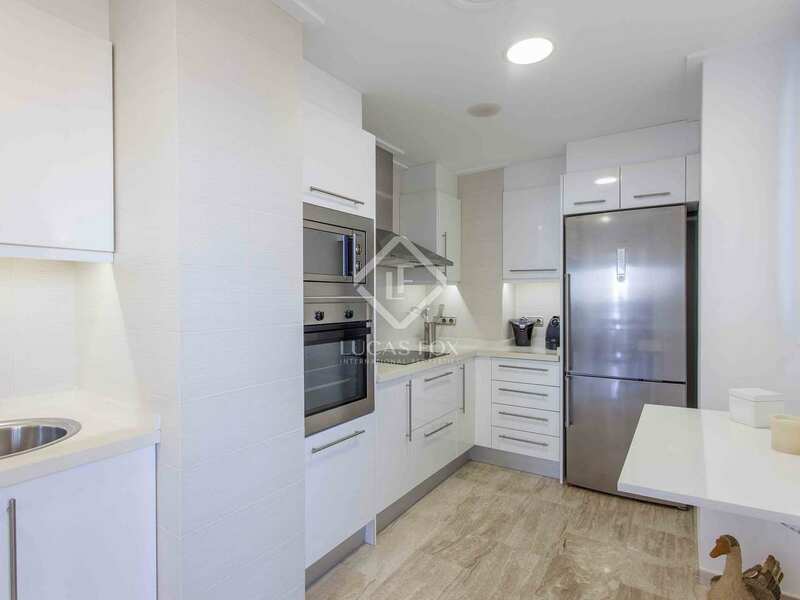 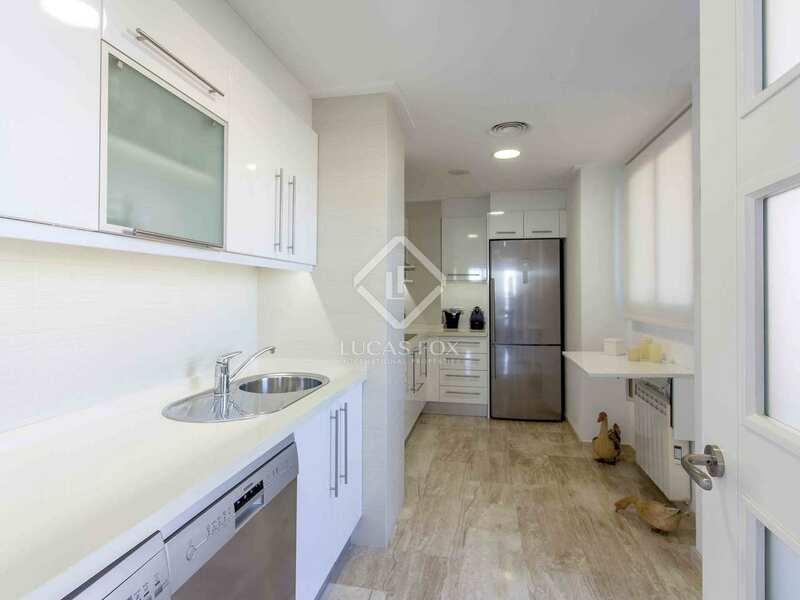 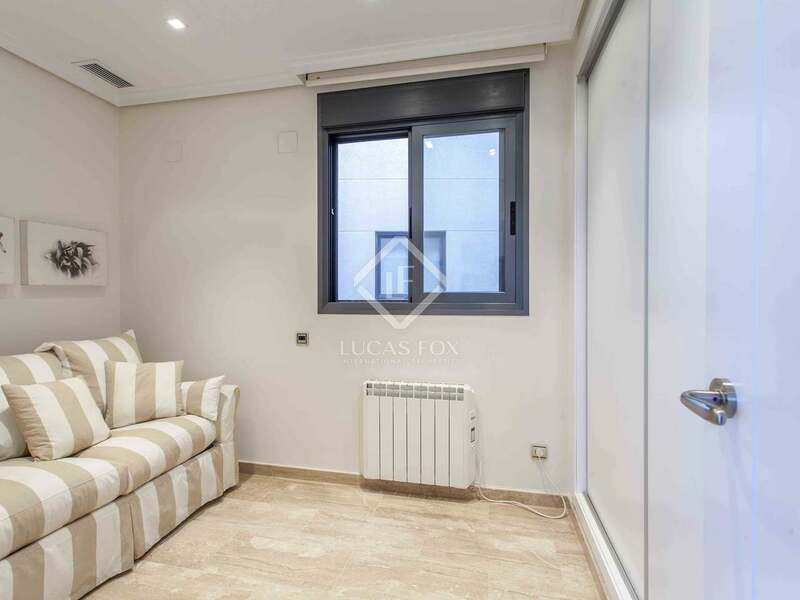 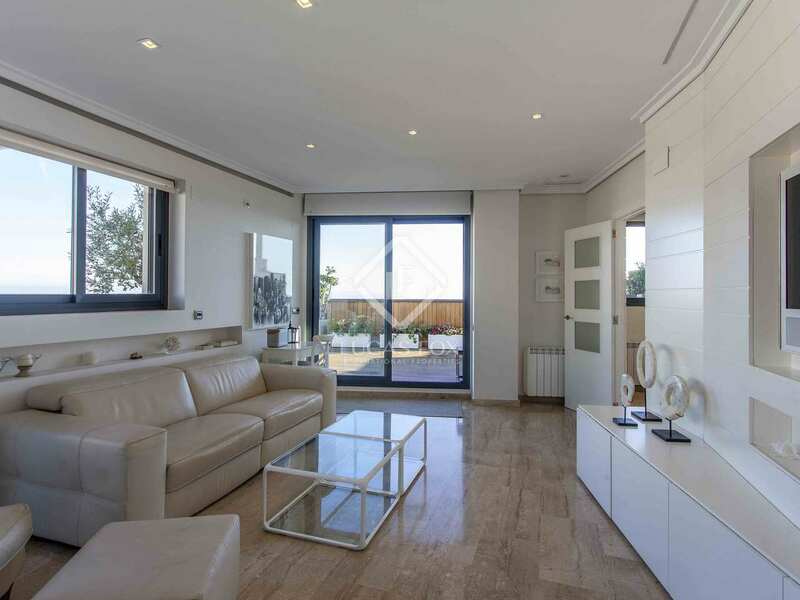 Magnificent penthouse apartment for sale in the centre of Denia, with stunning front-facing views, lots of natural light and the highest quality finishes. 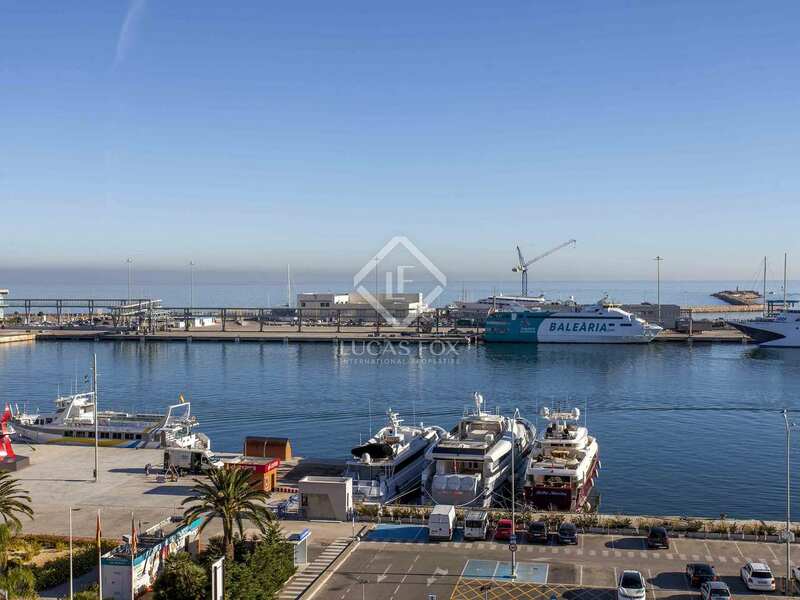 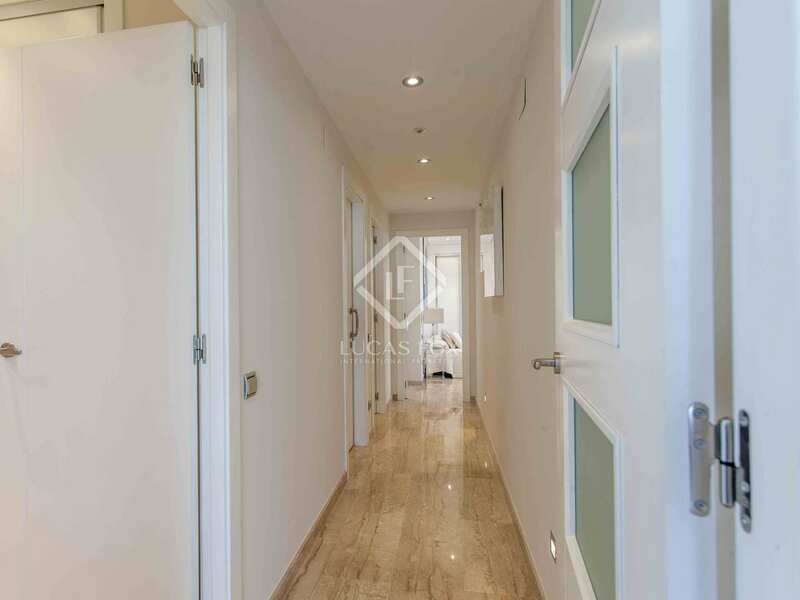 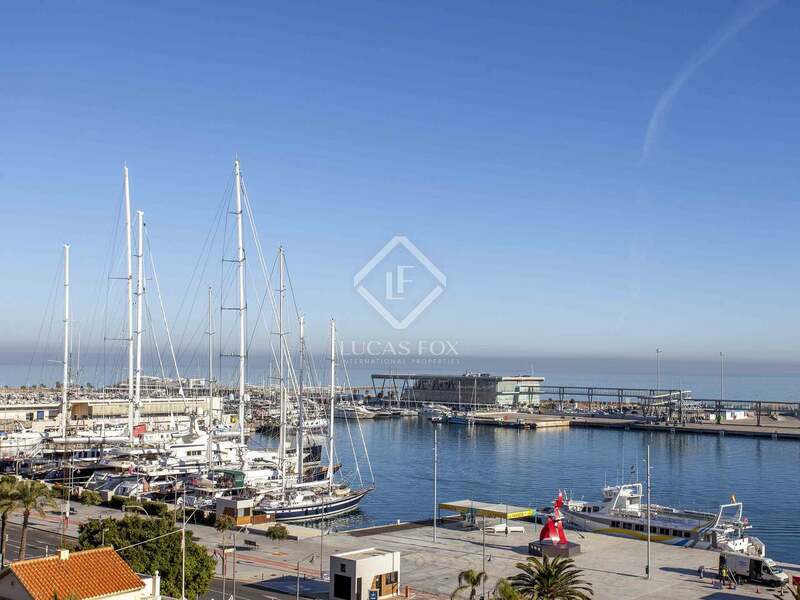 This magnificent penthouse apartment is located in the centre of Dénia opposite the harbour. 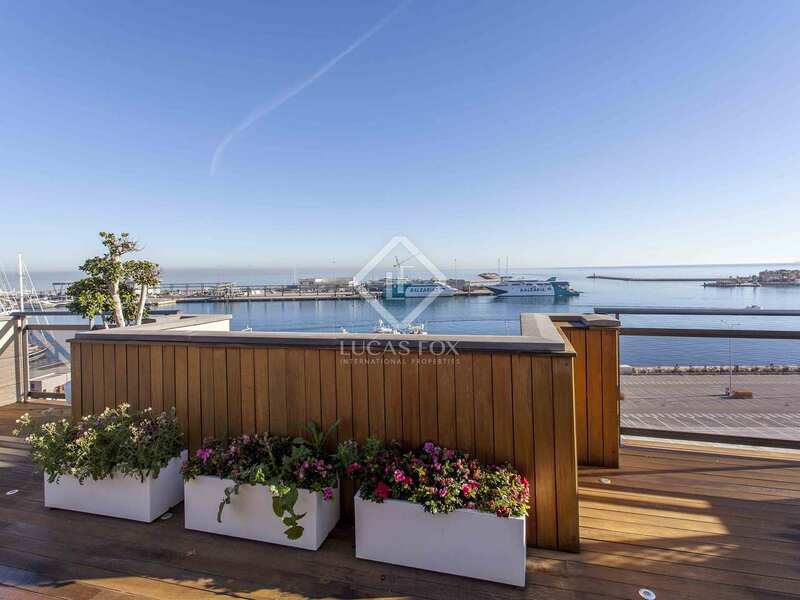 It offers beautiful panoramic views. 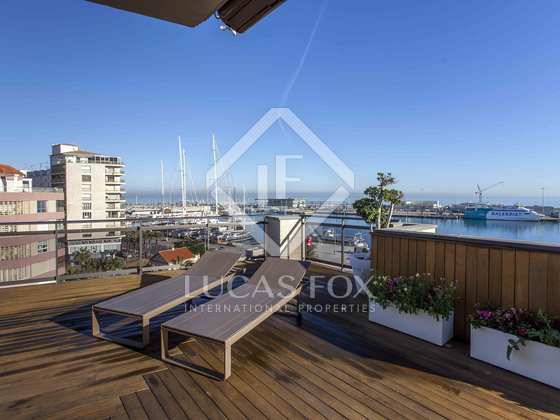 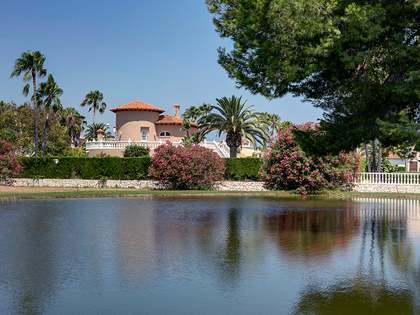 Being on the fifth floor, it stands out for its impressive front-facing views of the whole town, as well as the sailing club, Denia Marina and the bay of Las Rotas. 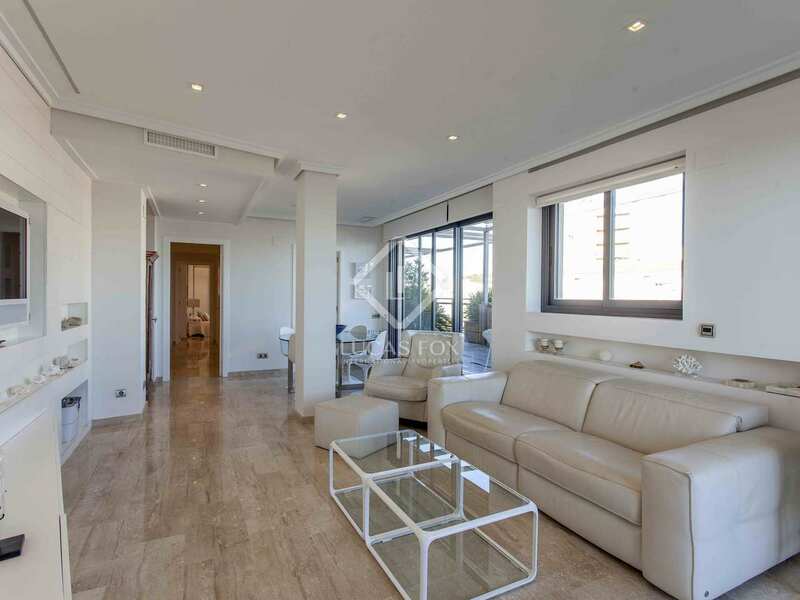 The attractive living-dining room is distributed across two spaces. 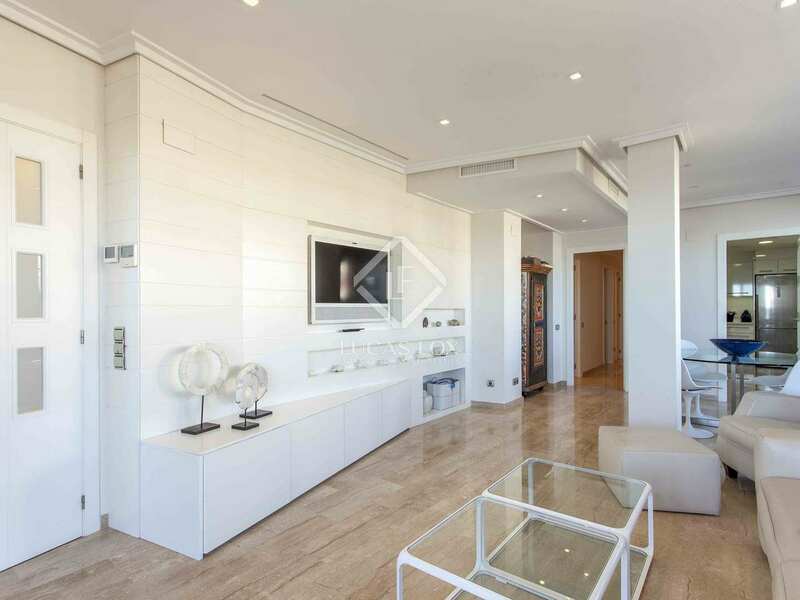 It is decorated in white and surrounded by large windows that allow a lot of natural light to enter. 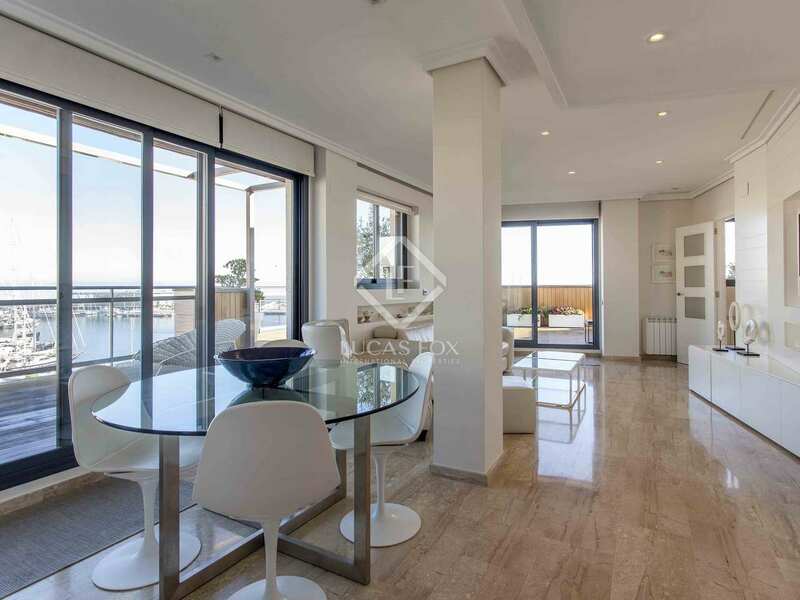 The kitchen is independent and offers direct access to the terrace, as do the rest of the rooms. 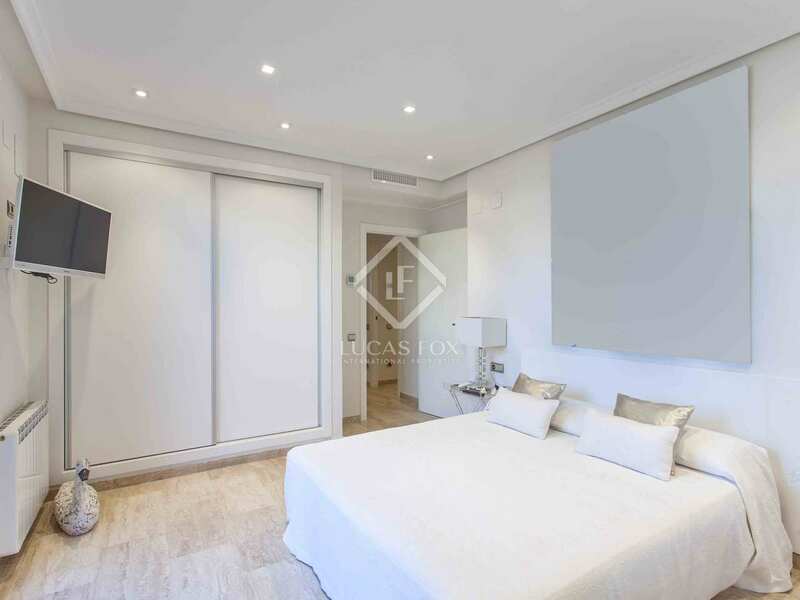 The bedrooms all have built-in wardrobes. 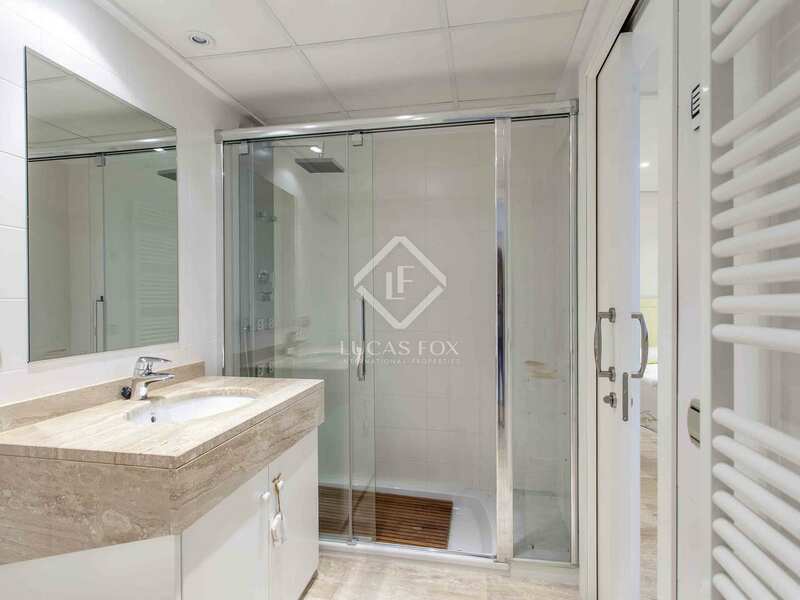 The master bedroom has a private bathroom. 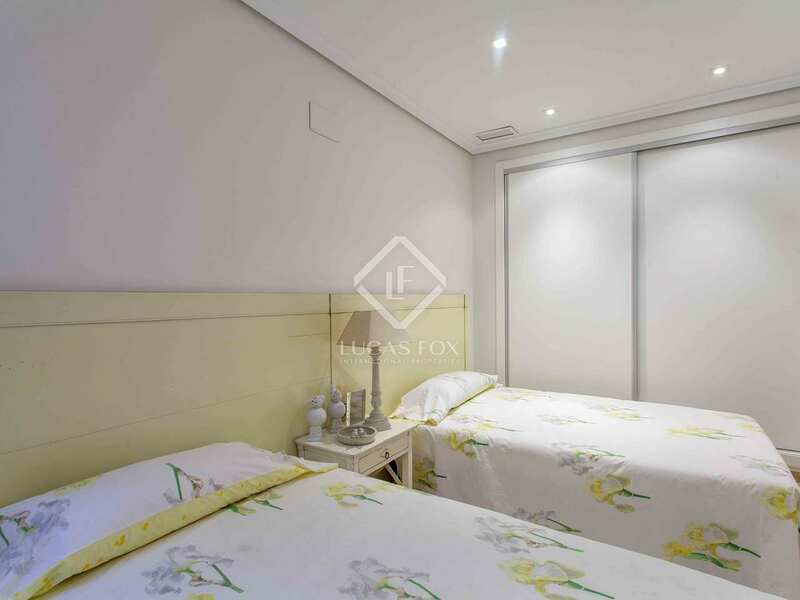 There are 2 further bedrooms and 1 complete bathroom. 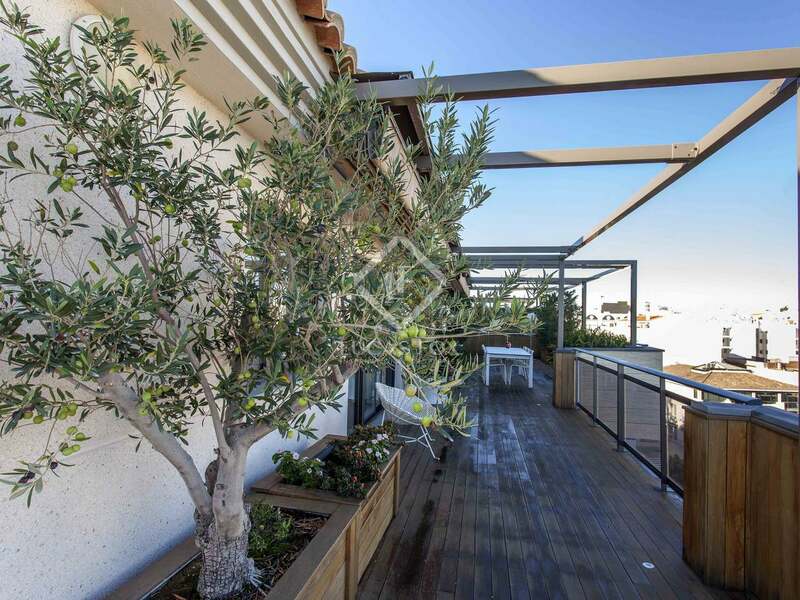 The whole property is exterior and is characterised by its panoramic views and the large 122 m2 terrace in teak wood, equipped with an outdoor shower. 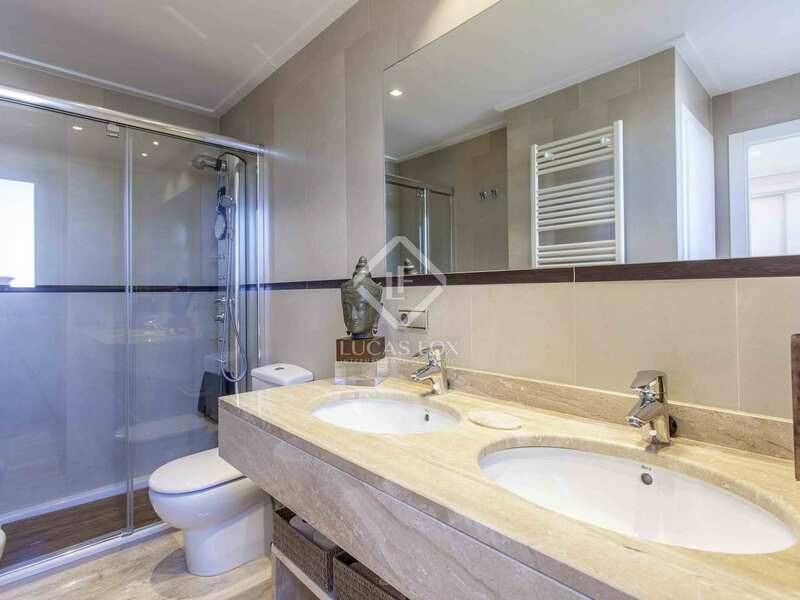 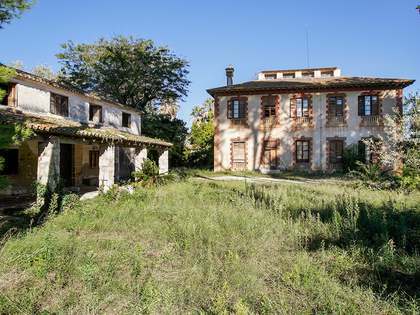 The property is equipped with the highest quality finishes in terms of both design and decoration. 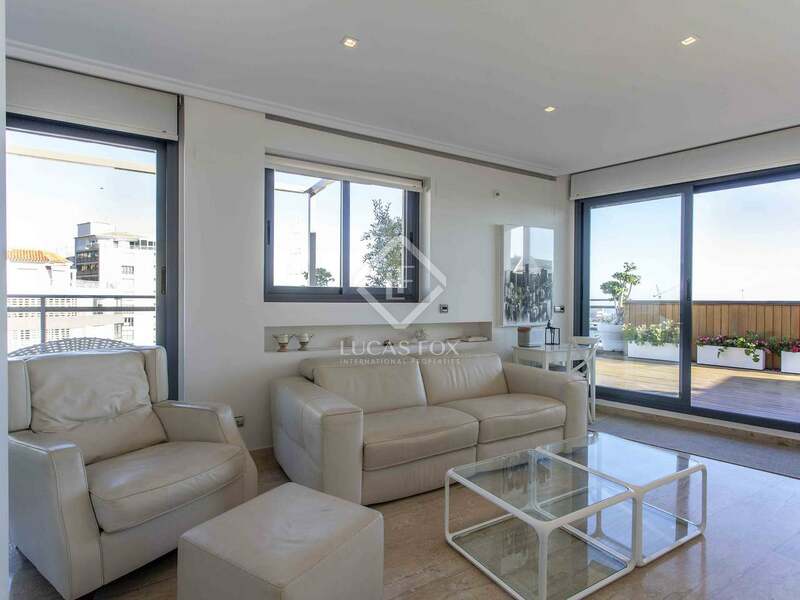 It also benefits from ducted air conditioning and heating, double glazing, a security door and an alarm system. 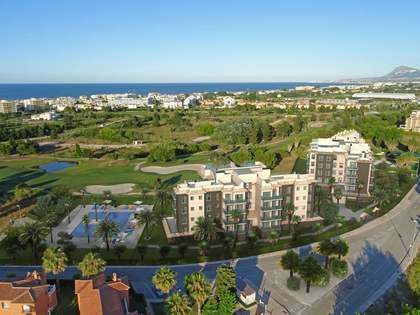 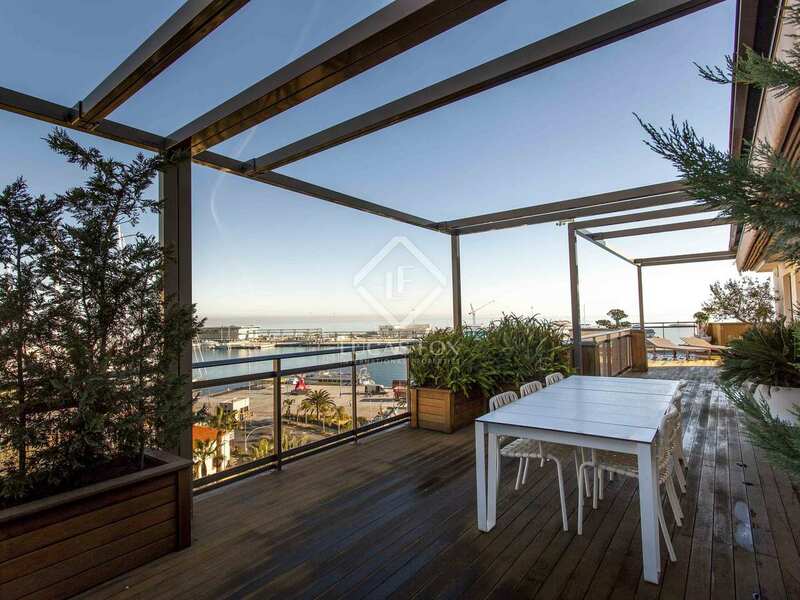 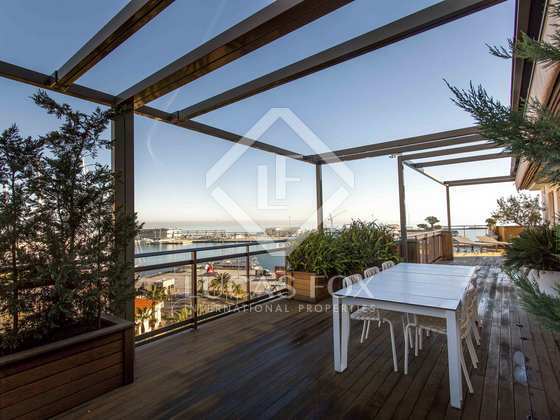 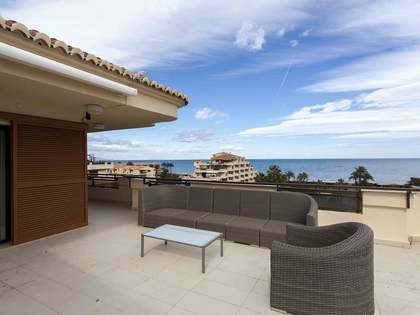 This is a spectacular penthouse apartment with unbeatable views, right in the centre of Denia. 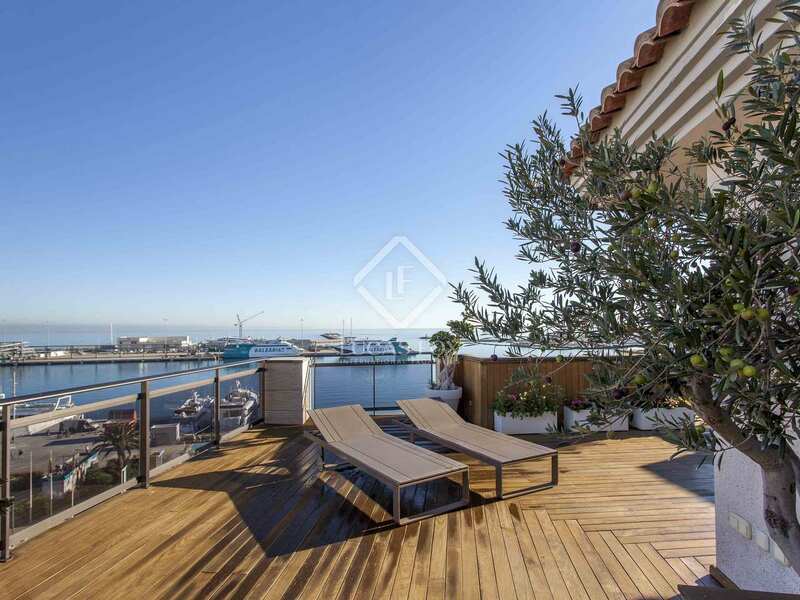 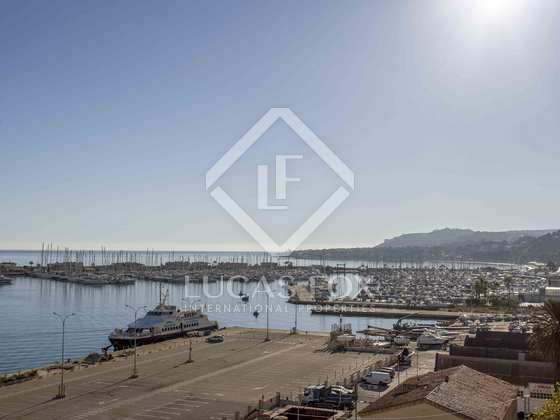 This penthouse apartment is in an excellent location opposite the harbour in the centre of Denia. 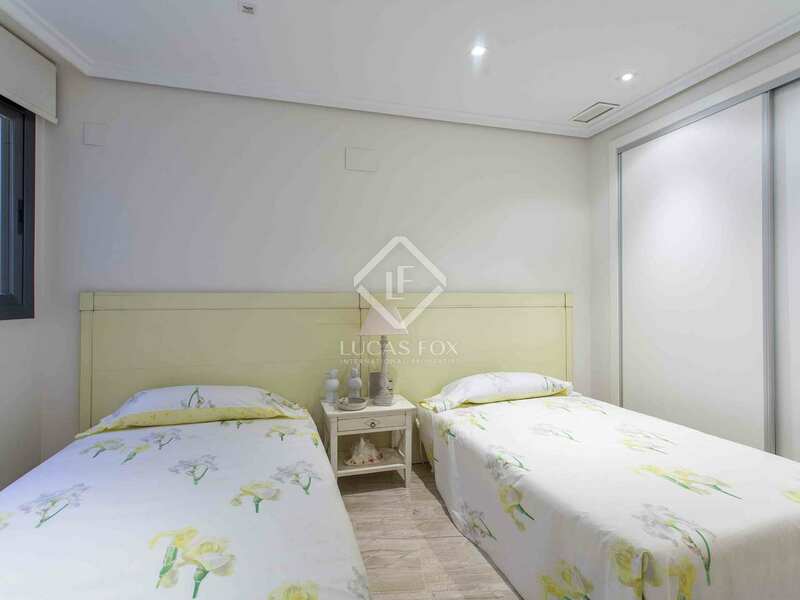 All kinds of services are available in the area.